ensure the Smart Family app is installed on the parent device. ensure the child device is powered off prior to adding or removing limits. 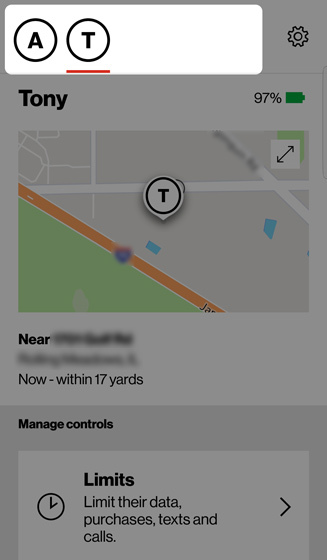 From the Manage controls section, tap Limits. 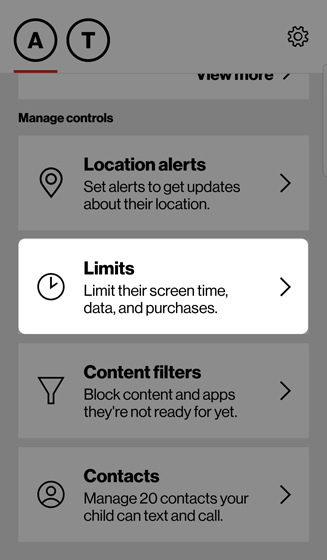 For lines on the justkids plan, tap Limit data amount. Enter the data limit in GB (Gigabytes). Once the limit is reached, data usage is restricted until the next billing cycle. You and your child receive free text alerts when they've used 50%, 75% and 90% of the limit. If desired, select Don't block data but still alert me when the limit is reached to turn on or off. For lines on the justkids plan, if desired, select Don't block data, but enable Safety Mode to turn on or off.